Today I'd like to share with you quick centerpiece I put together yesterday to give my poor, neglected dinning room table a little character. Poor thing has been naked for weeks and weeks. In keeping with the simplistic theme I'm enjoying lately, I decided to keep it . . . well . . . simple! I started with a drop cloth runner (a favorite of mine), and then added a soup tureen from my collection. Inside I placed a simple rose plant I picked up at the grocery store just because I couldn't pass by their cheerful yellow flowers without smiling. Ahhhh, aren't the blooms so pretty! On a recent thrift store trip I found two footed desert cups. Since I'd been looking for somewhere to use them, I added them on either side of the tureen. They make wonderful holders for tea lights to give me the glow of candle light I love this time of the year. At this point, the display was looking good but for some reason I wanted to add a little more to the mix. After thinking about it for a while I decided it needed an extra layer for texture. I tried trays and platters . . . but nothing was rocking my boat. I finally realized maybe a cutting board would work so I added one from my collection and it was just what was needed . . . however it was too small. I figured I could make my own very easily which is what I decided to do. After finding a piece of scrap wood from the garage, I cut it to the size I wanted and then sanded all the edges down nice and smooth. Then out came the stain and it look like this. As the stain was drying, I got to thinking that it might be fun to have a footed cutting board. After digging around in my craft supplies I found four wood wheels . . . Huh! . . . Not sure where they came from but apparently I had some grand plans for them at one time! Now that the stain was dry I realized it was too dark for my taste. I must have been a little heavy handed with the stain in my rush. To lighten up the dark stain I watered down some white paint and dry brushed it on. Using only a very small amount until it was covered but not at all perfect. Once the paint was dry, I sanded it all down until their was very little paint left. The last step was to hot glue the wheel "feet" on. I think the whitewash helped added a great texture and the feet make it a little more fancy. I did add a layer of finishing wax over the whole thing to protect it. I'm not planning on using it for food so I thought it couldn't hurt. I guess since I'm not using it was a cutting board maybe I should call it something else. Whatever they name, I'm liking the look. It adds the perfect extra layer I thought my centerpiece needed. 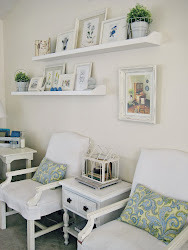 Be Inspired At Elizabeth & Co.
That looks great! Love the yellow roses, too! 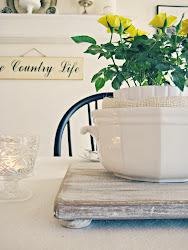 Oh I love that board painted and with the little feet too!What a beautiful centerpiece! Love the board you created! Everything is just lovely together. Thanks so much for sharing this NIFTY THRIFTY idea at my party...it's beautiful! Gorgeous, Robin! Your dining room looks just beautiful! I found a couple of boards out thrifting today...always on the hunt for those...what a fun treatment you used! Meant to say, too...your header is LOVELY...beautiful photos! nice blend of rustic with the fresh crisp yellow rose! I am terrible with centerpieces, that is one thing I need to work on! I love all the different textures you used for your centerpiece, Robin. The yellow roses are so sweet and the cutting board was a terrific idea. Love the little feet on it. Those roses are gorgeous! I love the layered look of the different pots. What a great idea to do with the cutting board. Wooden wheels...who would have thought. 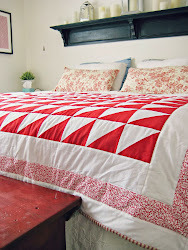 It looks great, and I love the white wash over the stain. That's a brilliant idea, I love the little feet on it. That would look great anywhere! What a great idea! Your vignette looks so pretty! I love the layering! I know I've already told you that I like your new header, but I just had to mention it again. It is BEAUTIFUL!! I smile everytime I bring up your blog and see it. Very clever Robin! 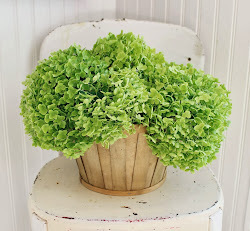 I love the added layer and texture it gives to your centerpiece. Lovely! I do love that extra layer under the tureen. 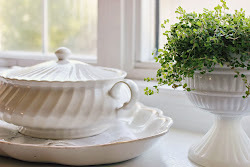 Since the tureen is white and the table cloth is white, it's just what you needed to break those colors up a bit. Gorgeous! I LOVE that footed carving board! I'm going to have to go dig around in the garage and craft room for some scrap wood and feet! Great idea! Your centerpiece is just great. I love how you added little feet. a wonderful mini 'stage' for your table. love that! 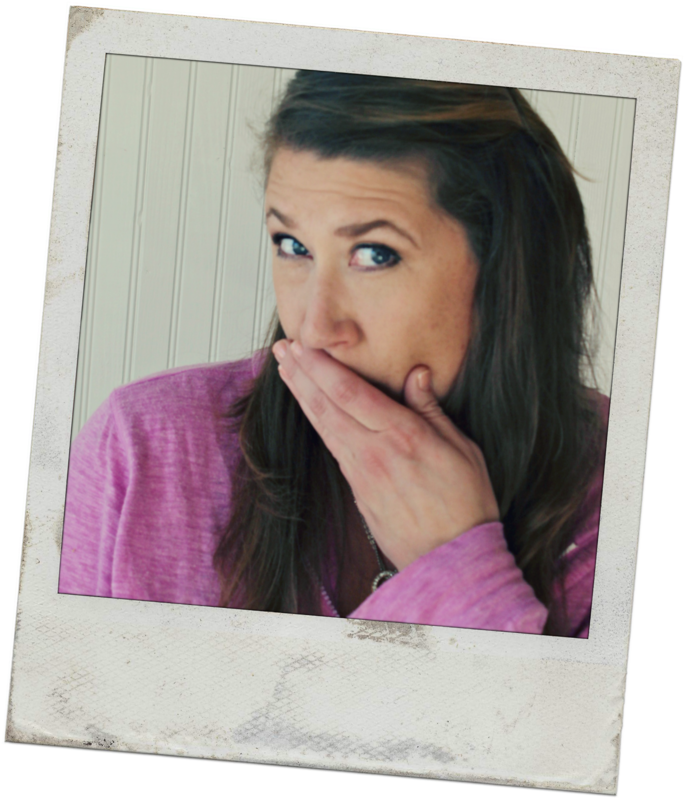 visiting via jennifer rizzo and would love to have you stop by when you have a moment. I love this idea!!! What a great centerpiece idea! Girl, you are so super creative! LOVE! 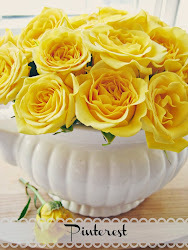 How beautiful ~ so fresh looking and yellow roses make me smile too! Looks great, sometimes you just need a good chunk of somethin' to offset all the feminine stuff. P.S.I noticed the feet first, love them!!! Very pretty! 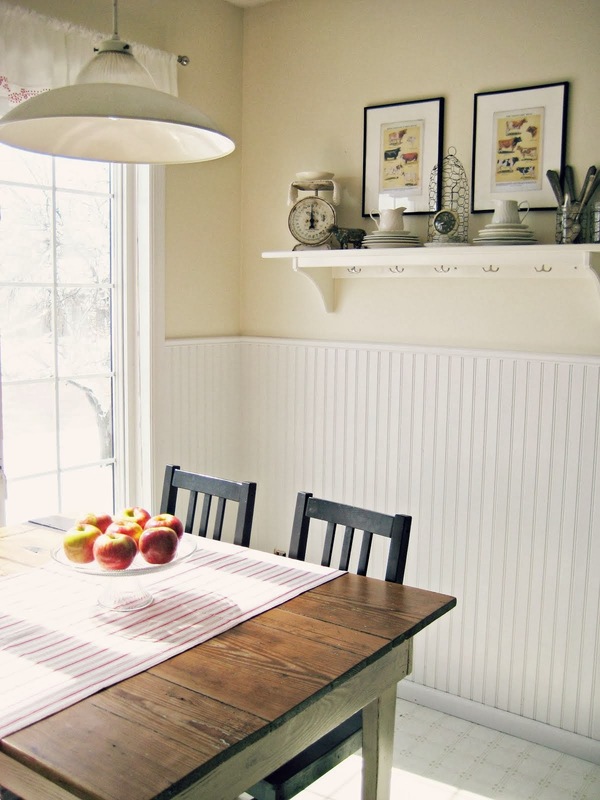 Love the rustic board with the white pieces. I've made a footed tray before but I love your idea of using wheels for the little bun feet! Very clever! Very pretty, Robin! Love how you improvised and made your own board for the base. Great idea to use the wheels as feet. I've been tempted by the tulips at the grocery store recently and have a feeling some pink ones will be coming home with me soon. Beautiful simplicity -- love it! It looks fantastic! I love the wheels. It really adds a nice layer to the space. And those flowers - oh I love pretty flowers like that. This is beautiful! I love the layers and texture. Oh and the pop of yellow is great on a grey winter day. Your cutting board looks gorgeous next to your yellow roses. Thanks so much for sharing at Simple & Sweet Fridays. I like how you painted that. It looks great as a centerpiece!